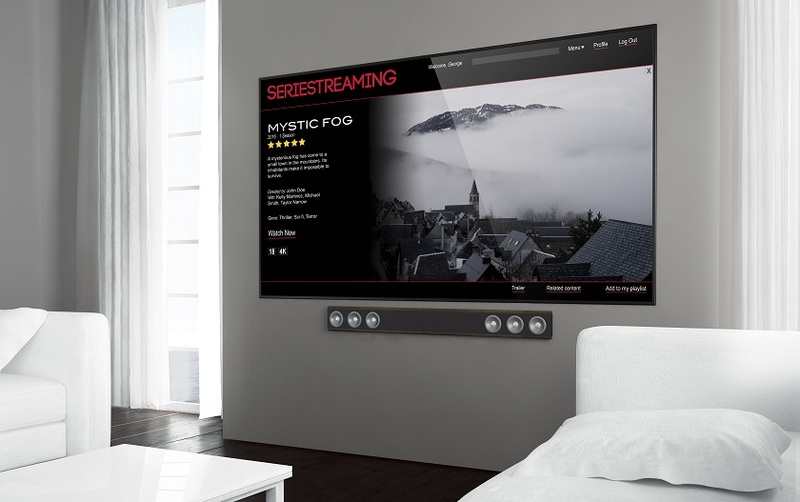 The rise of SVoD services and content-based streaming innovations have undoubtedly shaken up the world of entertainment in recent years – and it’s not only traditional television broadcasters that are feeling the pinch. SVOD that pulled the market growth: 13 billion dollars in turnover, up 30% over the year. 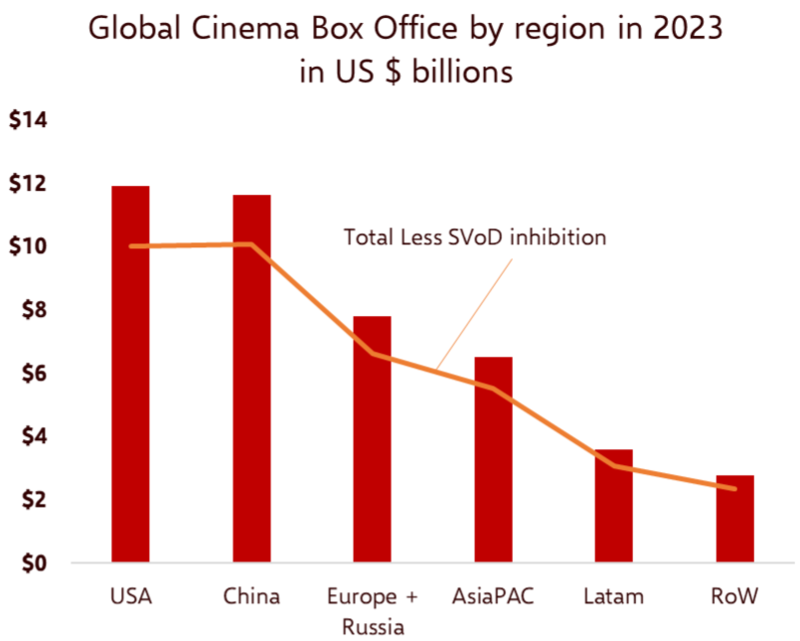 This chart serves to illustrate this seismic industry shift and it seems that box office in most of the world’s regions will suffer at the hands of the continual evolution of SVoD services. Aside from the freedom, flexibility and increasingly superior usability of SVoD services, it seems that this potential drop in box office revenue also will boil down to price. According to Ampere, the average price of a cinema ticket in the vast majority of markets is more than an entire month’s subscription to an SVOD service. In today’s world, there’s a genuine hunger for content and a demand for the value that is driving people in their droves away from the big screen to the small screen. But, with a healthy level of evolution, is there still a chance for the box offices of tomorrow to survive? We believe so. By examining at pricing while offering more value for money, the box office could tap into the SVoD mindset, offering streamable or downloadable bonus content for cinema attendance in addition to a hub or platform that will create a more immersive, informational viewing experience. Being SVoD-ready means improving financial results for all kinds of movie distribution, including the big screen. That said, in tomorrow’s world, it shouldn’t be a case of box office versus SVoD but a scenario where the big screen can adapt to offer SVoD-centric services to cinema-goers. This year, and beyond, we expect more big screen providers to evolve their efforts to become SVoD-ready.